These 6 pictures were taken on May 18, 2012 in a primary school called "Aili Hope School" in Song County, Luoyang, Henan Province. 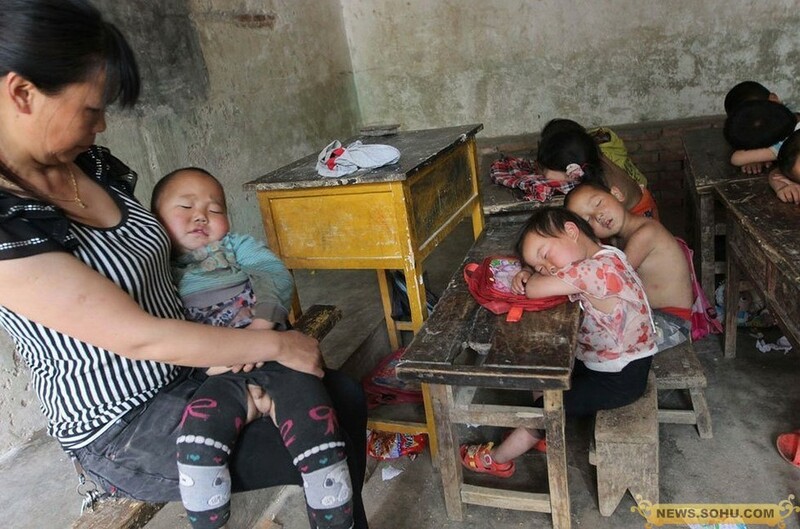 Ms. Fu Huafang (also called Liu Huahua), a teacher in the school, is taking care of a pre-school student Zhang Shihao during a nap-time after lunch. Zhang is only 2 and half years old, and he is the youngest in the school. The school has about students, and provides classes from pre-school to grade 4.